In the spirit of summer swimming pools, beach-side BBQ’s and outdoor exercise I’d like to address the near impossible task of keeping mascara where it’s applied, namely on your lashes. It seems that maintaining the morning’s mascara without sporting a mid-afternoon raccoon-ish smear, is a near impossibility. Until now. Introducing my new BFF – LashDip – a new semi-permanent, extra-dark, fully-waterproof coating that carefully wrapped around each individual lash, doing the heavy lifting, curling and coloring of a mascara, including adding volume and length. Sounds too good to be true? Read on. This writer herself is actually a recent convert, having been given the opportunity to meet the creators of LashDip and try out the product on my very own eye fringe. 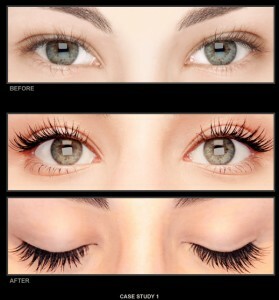 It’s a lash miracle. I honestly couldn’t be happier. My lashes are positively luscious, long and completely flake-free and smear-free after a week of wear (and a few Bikram Yoga classes). As if LashDip needed any more pro’s, it’s also buildable and can be applied over natural lashes or extentions so you can choose how intense you want your lashes to look. This product is completely safe, does what it promises and requires only a bottle of take-home sealant for touch-ups as maintenance. 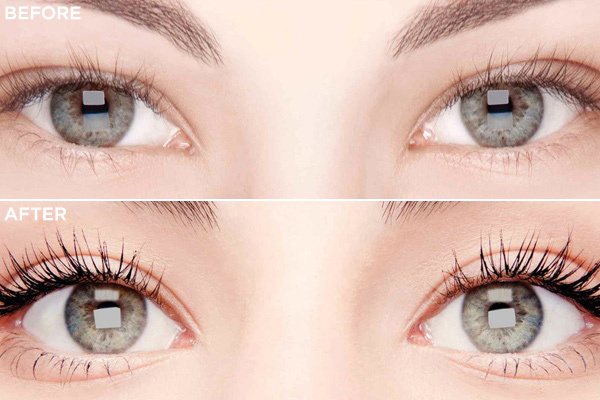 Okay, okay… at $250 an application, this treatment is gonna set you back a touch more than your bottle of mascara – but LashDip lasts up to six weeks and looks terrific without the muss and fuss of the traditional bottle and wand duo. If the proof is in the pudding… er… mascara… then my LashDip-ed lashes and I are walking, talking and positively lush-lashed proof – I may never buy a wand of mascara again. LASHDIP: A Wonder Without the Wand! The well-loved combo of the eyelash curler and mascara wand may soon come to end with the innovation of a new semi-permanent lash treatment that colors, curves, separates and sculpts the delicate fringe around your eyes for up to six weeks! It’s called LashDip and it’s getting major airtime (Today Show) and magazine and web time (right here, of course, at PoshBeauty.com, New York Times, Elle) because it’s just that amazing! One simple phrase sums up how I feel about LashDip – I cannot wait to try this! I’ll let you know how it goes!